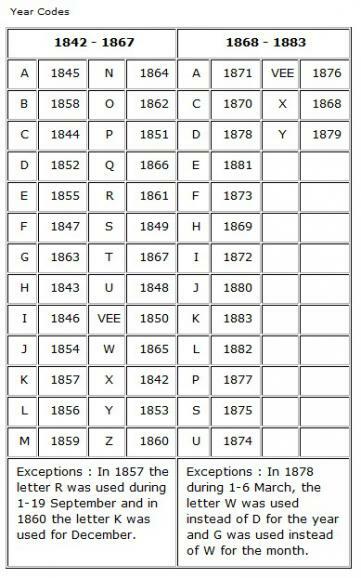 From 1842 to 1883 when a new design was registered in the UK, the Patent Office issued a diamond mark in addition to the registration number. This diamond mark aimed at certifying that the design was registered and was a UK design. 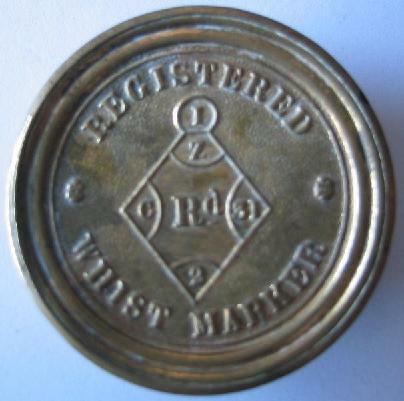 Some metal Whist Markers from this period have such a diamond mark as shown below (31st of January 1860). 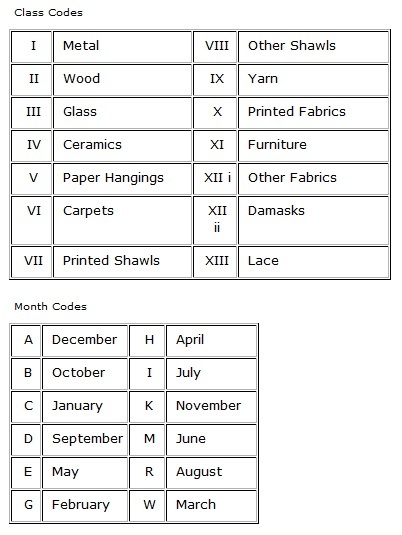 The diamon mark carry several pieces of information (class of object, date of registration and bundle) as shown on the diagram below. 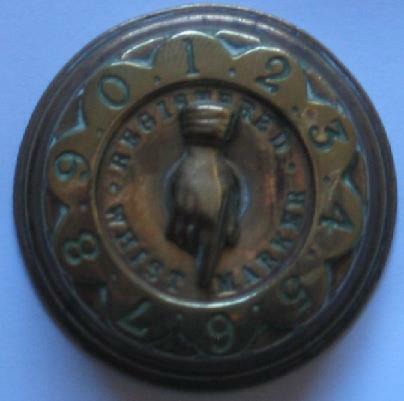 For more details about diamond marks please visit the British National Archives.